Steph Scheurer is navigating the world of communications and loving every minute of it. You could say her bread and butter has always been storytelling. As the Communications Manager at Agency MABU, a marketing and communication firm, Steph helps clients get their messages to their audience via video, social media, digital media, and the production of print, online, TV and radio communications. She started her professional storytelling career as a news reporter for KXMB-TV. During her two and a half years as a journalist, some of her most unforgettable experiences include meeting Will Ferrell, interviewing Josh Duhamel, and flying on an air mission over the Southwest border of Texas with North Dakota National Guard Aviators. Steph is a graduate of the University of North Dakota with a bachelor’s degree in communication. She is certified in display advertising, social media and as a social sourcing recruiter. She also has experience in interviewing, writing, digital advertising and video production. 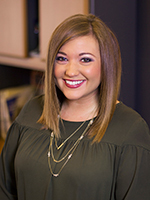 Steph is a member of the International Association of Business Communicators and the Bismarck-Mandan Young Professionals Network. Panelists will be announced one by one over the coming weeks! 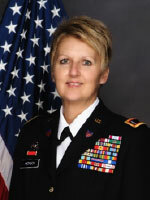 Chief Warrant Officer Four (CW4) Theresia ("T") Hersch began her career with the North Dakota Army National Guard in 1988 serving as an enlisted Soldier with the 818th Medical Battalion and 68th Troop Command. In 1996, she was appointed as a Warrant Officer and was hired as the Executive Assistant to The Adjutant General. Later, she was assigned as the personnel officer with the 141st Engineer Combat Battalion in 2000 and worked in the Human Resource Office as the Employee Benefits Specialist. In 2007 she was assigned to the 164th Engineer Battalion as the Human Resource Officer. In May of 2007 CW4 Hersch was notified she would deploy with the 164th Engineer Battalion (Security Forces). As the Human Resource Office she was in charge of 564 Soldiers from four different states. When she stepped off the plane in May 2008 she was greeted by the current Adjutant General and was asked to be his Executive Assistant and Aide-de-camp. In 2015 she was asked by Brigadier General Giselle Wilz to be her Aide-de-camp during her tenure as the NATO Commander/Senior U.S. Military Representative in Bosnia and Herzegovina. Chief Hersch returned home from her second deployment in May of 2016 and is currently assigned as the Strategic Engagement Coordinator. Her most memorable military event was serving as the operations officer, providing organizational and administrative guidance for the Lewis and Clark Youth Rendezvous in 2006. This national event commemorated the bicentennial of the Lewis and Clark Corps Discovery Expedition and afforded a hands-on historical learning experience throughout the state for hundreds of high school students, civilian volunteers and military members. CW4 Hersch is an engaged volunteer. She serves as the Vice Commander and Honor Guard member for Bismarck's American Veterans (AMVETS) Post 9 and is a lifetime member and Honor Guard member for the Disabled American Veterans (DAV). Additionally, she and her husband, Robert Fode, co-organized a Team Red White and Blue (Team RWB), a non-profit organization that is dedicated to enriching the lives of American Veterans (families and communities) back into their communities through social and physical activities. There are Team RWB Chapters in Bismarck and Minot, ND and Team RWB has expanded into communities statewide to include Grand Forks, Fargo and Dickinson. CW4 Hersch lives in Mandan, North Dakota, with her husband and their two dogs, Harley and Lucy. Sister Kathleen Atkinson is a Benedictine Sister from the Annunciation Monastery in Bismarck, North Dakota. Nationally recognized as a leader in hunger and homelessness education, she has developed service learning experiences for all age groups and led service teams to a variety of foreign and United States locations. Sister Kathleen is the founder and director of Ministry on the Margins, a volunteer-based ecumenical ministry committed to supporting those who fall through the cracks during times of transition. Ministry on the Margins serves over 500 people each week through their food pantry, coffee house, faith community, prison re-entry mentoring, prison bible studies, and a variety of creative responses to the needs of the marginalized. Sister Kathleen is the author of two books, God is Always There. Psalms for Every Moment and Letting Go and Letting God. 21 Centuries of Faith. Shannon McQuade-Ely is a third generation Owner/President of McQuade Distributing Company, an Anheuser-Busch, import and craft beer distributor in Bismarck, ND. She came to the company in 2000 working her way up, starting on the trucks and delivering beer. Shannon was named President and approved by Anheuser-Busch for succession in 2004. In 2008, she became the first third-generation and first female President of the North Dakota Beer Wholesalers Association. Under Shannon, McQuade Distributing has brought in more than 30 new craft breweries to their market including New Belgium, Deschutes and local North Dakota breweries Fargo Brewing and Buffalo Commons. In 2009, McQuade Distributing surpassed the 1 million case milestone with just 32 employees and was honored with the Ambassador of Excellence Award by Anheuser-Busch for an outstanding year. In recent years, McQuade Distributing has received many community honors, including the Granite Award, given by the Bismarck-Mandan Chamber. Shannon has always been a very big community supporter. She has served on many community boards - including the Missouri Valley YMCA, Sanford Foundation, Bismarck-Mandan Chamber and serving as Chair of the Greater North Dakota Chamber. However, her greatest joy comes while continuing to serve on the McQuade Softball Charity board. The Sam McQuade Sr.- Budweiser Charity Softball Tournament was started by Shannon’s grandfather, Sam McQuade Sr., in 1976. It has generated donations of over $1.5 million over the years to local charities. In 2016 the tourney gave over $108,000 to 55 different local charities and organizations. Shannon encourages giving and volunteerism within her staff and was honored to serve as emcee of the 2017 MSA United Way Awards banquet earlier this year. Shannon was raised in Bismarck and graduated from Bismarck High School in 1992. She graduated from the Minnesota State University-Moorhead with a degree in Mass Communication-Broadcast Journalism as a two-sport athlete in basketball and volleyball. She still loves to live an active lifestyle outdoors and traveling with her family. Shannon lives in Bismarck with her husband Dale, her three children Samantha, Cameron and Ian and her Portuguese Waterdog, Trouser. Her step-daughter, Lexi, is in her first year at the University of Minnesota Law School. Cheryl Ann Kary (Hunkuotawin) is an enrolled member of the Standing Rock Sioux Tribe. She received her Bachelor of Science degree in Communications from the University of Mary, as well as Master’s Degrees in Management and in Business Administration. She holds a Ph.D. in Communication & Public Discourse from the University of North Dakota. In 2013, Kary was awarded a Bush Foundation fellowship under which she developed and conducted a survey of off-reservation American Indians in the Bismarck-Mandan area. This work helped her establish the Sacred Pipe Resource Center (SPRC), a non-profit organization serving the American Indian population in Bismarck-Mandan. Kary has previously served as the Curriculum Development Specialist at the Native American Training Institute, the Research Director at United Tribes Technical College, the Executive Director for the Standing Rock Sioux Tribe and a Grants Management Specialist at the North Dakota Department of Health. Kary currently serves as the Executive Director of the SPRC and of the Common Enterprise Development Corporation (CEDC) in Mandan, an economic/community and cooperative development center. She has worked in and with Tribal communities and populations for the majority of her career and, in addition to professional responsibilities, Kary advocates for Native people and Tribes in a variety of volunteer efforts. Kary was named an OTA Builder in 2014, recognized for seeking creative ways to build civic and community engagement for American Indians in the Bismarck-Mandan area. While she is an introvert by nature, Kary enjoys peopling in moderation. She is the mother of four children - Dalayne, Trevan, Tayson, and Tallon – and, in her spare time, she enjoys playing softball, going to movies, and reading. 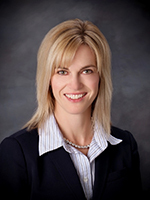 Julie Fedorchak was appointed to the Public Service Commission in December 2012 by Gov. Jack Dalrymple to fill out the term vacated by U.S. Congressman Kevin Cramer. She successfully ran for election in November 2014 to fill out the remainder of the term, which expired in 2016. In 2016 she was elected to a full six-year term that ends in 2022. 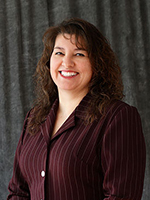 Julie heads the pipeline and electric transmission siting, rail and consumer affairs portfolios. 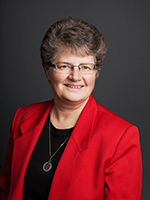 She has led efforts to enhance the Commission’s pipeline reclamation program; she developed and received legislative approval for a state rail safety program; she has been a tireless advocate for reliable, affordable utility services; and she reinstated the Commission’s consumer affairs portfolio to provide greater public awareness, participation and transparency in the work of the PSC. Julie brings diverse public and private sector experience to the Commission as well as a broad understanding of the state’s many regions and industries. She served as communications director and senior advisor for Governor Ed Schafer from 1995-2000. Following this period in government, Julie started her own business, Liffrig Communications, which provided communication, marketing and government relations services to a variety of private and public clients. Julie also wrote a weekly column for the Bismarck Tribune for four years and assisted her mother in the publishing of three books. After 10 years in the private sector, Julie returned to public service to help lead U.S. Senator John Hoeven’s state organization. She was promoted to State Director in 2011. The youngest of eight children, Julie was born in Williston. She completed elementary and junior high school in Fargo and graduated from Bismarck Century High School in 1986. 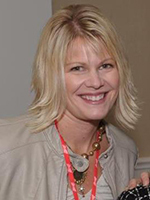 Julie earned a bachelor’s degree in journalism from the University of North Dakota in 1990 and then launched her professional career with the University of North Dakota Alumni Association and Foundation. Julie is married to Mike Fedorchak of Minot. They have three children and live in Bismarck where they are involved in a number of activities and organizations.